"Pet owners can book appointments at any time." Offers online appointment booking, you can book appointments anytime, anywhere, from any device. Moreover it is super easy to set up and maintain, adds and removes new staff as needed, in addition to being fully customizable to display the number of appointments for which you want to allow online bookings. Once the system is set up, it only works in the background and needs little or no maintenance, plus adding new vets, holidays, etc. 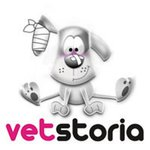 Additionally Vetstoria has worked perfectly with our RxWorks system. It was also very easy to add to our practice website and Facebook pages, instagram, among other mobile applications. Our clients loved the ease of use and frequently enter all the problems of their pets that they wanted them to consult in the reservation form; this is transferred to the clinical notes and frees our staff from reception duties and saves time, clients can write for free and give us more information. The ability for clients to choose their veterinarian is excellent. In addition, the fact that we can select the species that each vet is comfortable seeing is an advantage. Save staff time during business hours with fewer appointments to book phone calls. "E-Booking, the easy approach to handle your Business Booking." The menu was easy to navigate and the software ran smooth. I disliked nothing about this product. Very Great Product! Would recommend to any business out there looking to make booking easier and cheaper. I am saving time and money with E-Booking. Online Booking is necessary for any business. * We monitor all Online Booking reviews to prevent fraudulent reviews and keep review quality high. We do not post reviews by company employees or direct competitors. Validated reviews require the user to submit a screenshot of the product containing their user ID, in order to verify a user is an actual user of the product. Hi there! Are you looking to implement a solution like Online Booking?